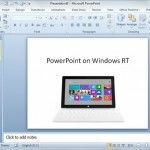 With all the upgraded applications, nifty new features and cloud support, MS Office 2013 seems like a nice application suite. However, as we all know MS Office 2013 is still in its early development stage and not completely stable (so to speak). However, you can get Microsoft Office 2013 free of cost by signing up for an exclusive Microsoft offer. To acquire MS Office for free (complete with MS Word, MS PowerPoint, MS Excel, MS Access, etc), simply follow the instructions given below. 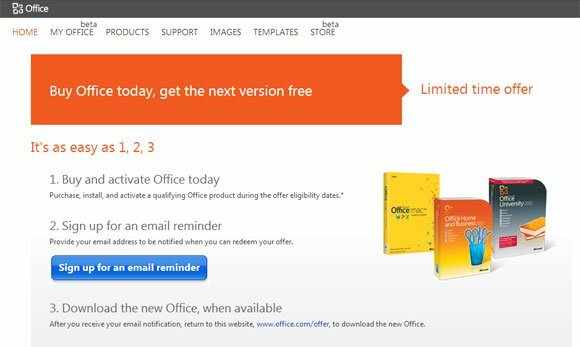 Microsoft is giving “Free” Office 2013 upgrades to Office 2010 customers who may buy a version of MS Office 2010 between 19th, October, 2012 to 30th, April, 2013. The period for redeeming this offer is “from the availability dates of the new Office to May 31, 2013”. 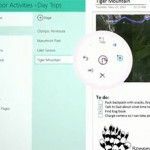 All you have to do is to buy an MS Office 2010 product (you can purchase on Amazon) during the above mentioned time frame and sign up for an email reminder to let you know when the latest MS Office suite is finally available. Note: Make sure you follow the instructions that will be sent to you via email. To benefit from this offer, head over to the link given at the end of this post. Also make sure that you go through the terms and conditions given below. We have simplified the original Terms and Conditions to highlight the salient features of the offer. 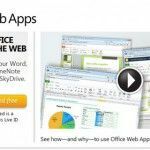 Availability: The offer is valid for countries and regions where Microsoft Office is available. Genuine Office Products: Needless to say, you must have a genuine copy of MS Office installed on your computer to benefit from this offer. Criteria For Validity: Products that are valid include full packaged products, Point of Sale Activated products, product key products (such as downloads), as well as direct original equipment manufacturer products which might have come pre-installed with your system. 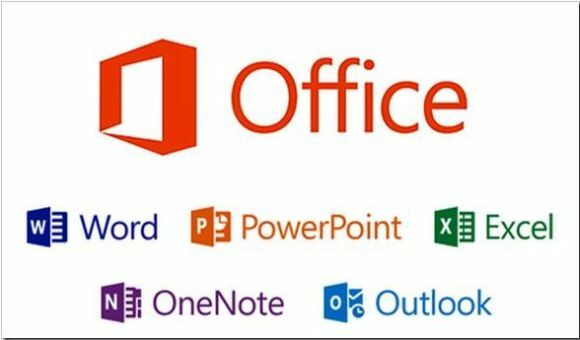 Office 2010 and Office for Mac 2011 products obtained from places other than retail stores, resellers and online retailers or direct original equipment manufacturer. Proof of Purchase: Make sure that you keep your receipts, as they might be required to benefit from this offer. Notice the software available on Amazon comes in two versions, you can choose to download Microsoft Office Home & Business 2010 Key Card (1PC/1User) which will provide you a download link and the key card (PC Download), or you can purchase the product in a box for PC. System Requirements: You will require either Windows 7, Windows 8, Windows Server 2008 or Windows Server 2012 to run the latest Office 2013 suite. For more details and to redeem the above mentioned offer, go to the link given below. I was not aware that the offer for a free upgrade expired on 31 May 2013. Is there ANY way one could convince MS to consider a latecomer?